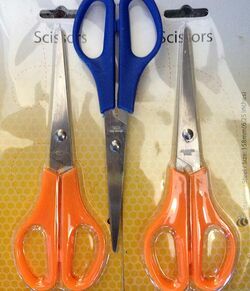 Stainless steel scissors for home or office. Available in blue or orange. 158mm.